Three people were hospitalized in Suffolk last week when a car ran off-road and collided with a parked truck. Police say they received a call around 3:30 AM the morning of August 26, 2017. When they arrived on Turlington Road, they discovered that the driver of a Chevrolet Impala had run off road and struck a parked Ford F-150. The Impala continued on before striking a tree and bursting into flames. Thankfully, the driver and two passengers were able to extract themselves from the vehicle by the time rescuers arrived. Firefighters put out the fire and confirmed no one else had been involved in the crash. Two of the victims suffered serious injuries and all three were hospitalized. No one involved in the accident has been charged and no reason for the crash has been given. Considering the late hour of the collision, it is easy to assume that the driver was drunk or drowsy or both. It is impossible to speculate because the official investigation has not yet concluded, but many single-vehicle accidents like this one are caused by drunk and drowsy drivers. Passengers involved in accidents like this one often face a conundrum: do they shoulder the weight of medical bills and lost wages or file a claim against their friend? Unfortunately, this is often perceived as a moral decision. 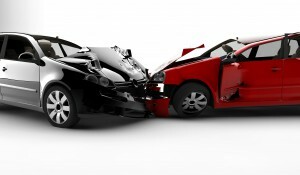 There is nothing immoral about seeking compensation for injuries sustained in an accident caused by a negligent driver. We encourage the victims to seek the advice of a Virginia car accident lawyer before making their next move. Car accidents and wrecks, especially those that result in the wrongful death of an innocent victim, are horrific events – and the event is made all the more awful when it turns out that the at-fault driver was driving drunk. Virginia wrongful death attorney Richard Serpe represents families who have suffered the loss of a loved one caused by someone else’s negligence. If you’ve lost a loved one due to someone else’s negligence, or have been injured, contact us to discuss your rights.